The internet can be your best and worst friend when you are in the throws of planning your wedding. Before we wrote this post, we figured the internet could only be good to you - showing you the way forward in your planning nightmare and providing a reprieve from the boring things like budgets and seating plans.We thought all of this until we got caught up in a flurry of wedding websites. What started out as an organised research session quickly turned into fourteen opened tabs of websites all saying and sharing the same thing. So, to prevent you from being sucked into that vortex, we've come up with a few of what we think would be the best and most useful online bridal resources. 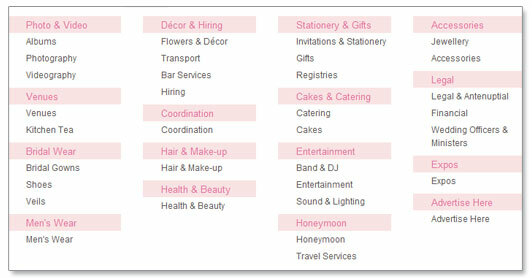 But first, onto the question most of you are probably asking: what is an online bridal resource? Well, consider it your wedding file on the internet. Most of these resources are two things; a way for you to digitally collect all your inspiration for your wedding day, and an interactive platform that allows you to manage your budget, tick off your checklist and plan your seating arrangements. Pretty neat, huh? We're not going to lie. What really drew us to this website was its cute and functional design. Who wouldn't want to explore a website that looks this cute? 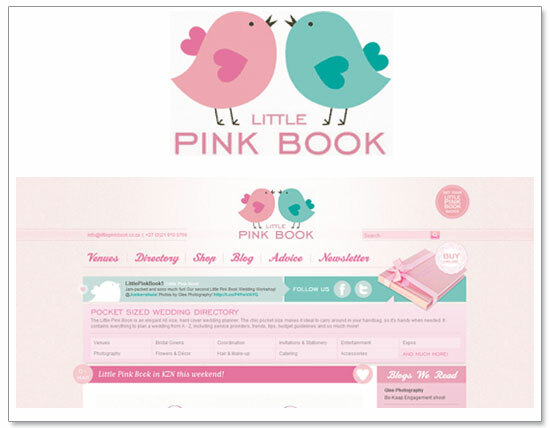 The main drive behind this website is the actual pink binder that you can buy to aid you in planning your wedding. This pocket size (A6) wedding planner is small enough to carry around and features categorised sections like budget guidelines, tips and trends. It also has a very handy wedding service directory with smudge free paper so that you can take notes at consultations. And isn't it just beautiful? Unfortunately, The Little Pink Book is only available for the Western Cape and Gauteng. Here's holding thumbs that a KZN version comes out soon! Celebration is South Africa's answer to The Knot (see below). Well, at least it looks that way. This is a very comprehensive and easy to navigate site packed with vendor lists, advice, articles and a coming soon "Tools" section, which we bet will include interactive budget lists and seating plans - *yay*. What we really love about this site is their "Start planning here" tool. Its almost like a short cut through their site, straight onto their vendor pages. 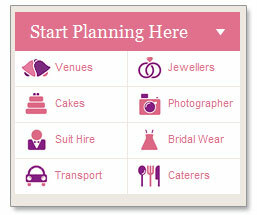 With a click of a button, you are shown a wide selection of venue options, jewellers, photographers and suit hire. And the best part? Everything is divided not only into provinces, but into specific areas as well. How convenient! 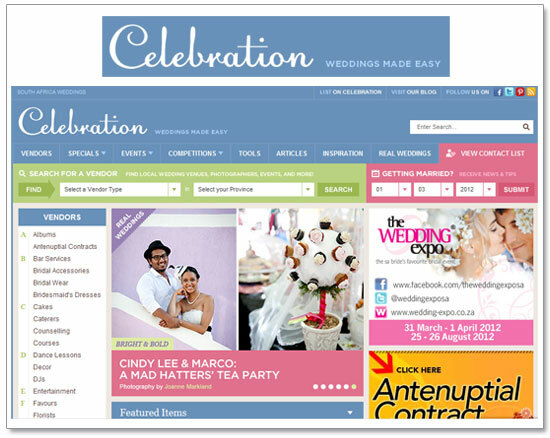 This website is extensive and probably boasts the larger venue lists over other South African bridal sites. You also have the option of subscribing to their newsletter. Simply type in the date of your wedding and email address and you will receive tips and advice leading up to your big day. The site also collates special offers from around the country for couples planning to get married. Honey moon trips, wedding planning discounts and bar specials - you name it! We give it two thumbs up! 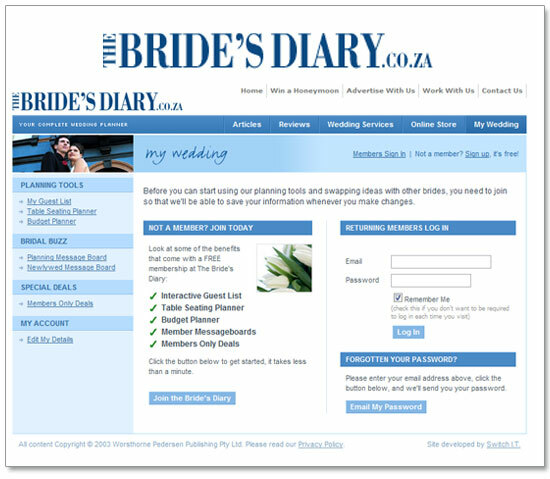 The Bride's Diary is very similiar to Celebration in that its boasts a large number of vendor lists and guides. 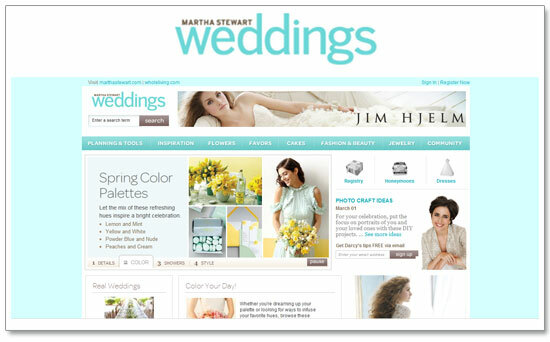 What makes this site unique are its free online tools that will aid any bride in planning their wedding. These tools include a budget calculator, an interactive guest seating plan and a customisable and editable guest list. All you have to do is the join the site to make these tools available to yourself. Joining also grants you access to members only message boards and specials. Win! 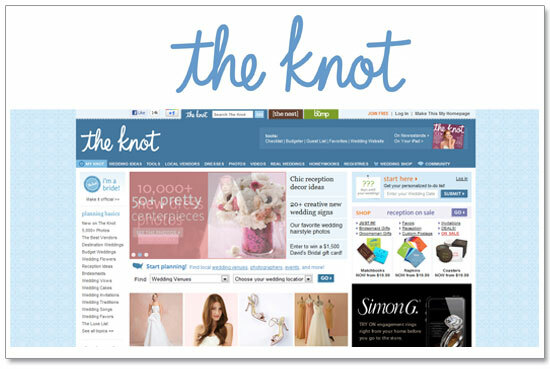 The Knot is a well reputed and popular website. It is the sister website of The Nest (for those of you moving into your new home) and The Bump (for those of you expecting a baby). The idea is for a user to sign up to any one of the sister sites, and eventually, as they reach different milestones in their life, sign up to the others. The online resources of this website are incredible - and the fact that it is American doesn't really matter much. This is the be all and end all of wedding checklists! This list is automated by The Knot and begins right from the moment you are engaged, to the big day. Checks include deciding your wedding theme, announcing your engagement, and even date nights with your husband-to-be! This is our favourite tool because it is so damn useful! The guest list tool allows you to create multiple guest lists for not only your wedding day, but the events (bridal showers, bulls nights, rehearsal dinners), leading up to the big day. You can import entire guest lists into new lists and in a glance you can see how many guests are coming and how many still need to respond. 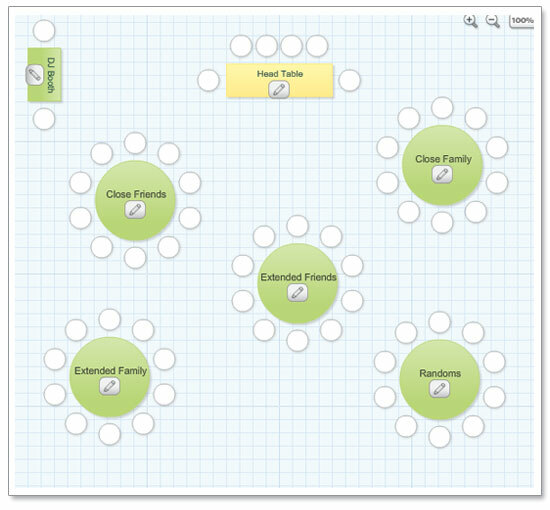 To make this even cooler, you can then import your guest lists into your seating floor plan! The seating plan is great as it allows you to create a virtual floor map of your venue, indicating where tables will go and who will sit where - you can move the tables around at will, and for those of you who are a little OCD, you can even change their colour! Useful huh? 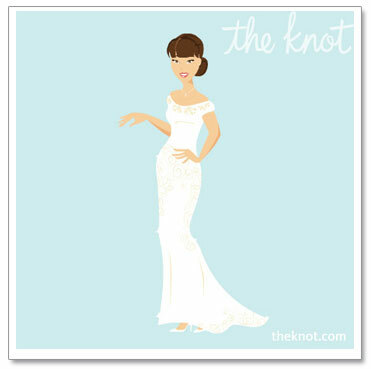 Another great and fun little feature from The Knot, is that you get to create your own "inner bride" cartoon of your dream wedding look. You can change your brides body and face shape, skin colour, hairstyle, dress and accessories to emulate your perfect look. How do you like our girl? Who wouldn't take cues from America's most celebrated house wife? The online bridal resources are pretty much the same as The Knot's, but don't overlook this site's GREAT inspiration boards, real weddings and DIY tips - its our go to wedding website. We did a detailed post on this gem of a website yesterday and just could not leave it out of this list. 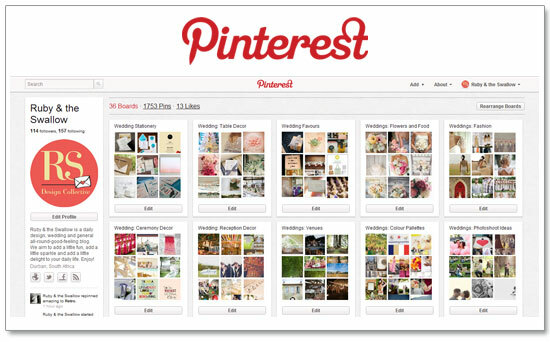 Pinterest is a great way of keeping a visual diary. Not the internet type? Don't worry about creating your own boards then - simply search for what you want on other people's boards! Some great boards to start from would be ours (naturally! ), a Perfect Palette and Style Me Pretty (which, by the way is ANOTHER great international site, visit it here). If the thought of trawling the internet for wedding planning advice sends shivers down your spine, then we have the perfect alternative. Your Wedding Planner is a new annual publication for brides planning their wedding. This handy publication leaves no stone unturned and is the perfect resource for finding every single vendor in KZN that you could possibly need. The magazine is conveniently divided into various categories, with tips and advice interspersed between the vendor adverts. Categories include photographers, videographers, jewelers, decor, venues, bride and grooms wear, beauty, honeymoons, and music. The magazine also has a really useful planning sections that include a monthly to do list, a vendor index, a yearly calendar and even an article on wedding etiquette. This is the perfect handbag companion for any bride in KZN! Keep a look out for their website, which is currently under construction. The publication is available in NWJ stores nationwide. The best part? It's FREE! That's our round-up of sites that we think are useful when planning a wedding. Do you know of any others that would be useful? Drop us a line and let us know! All pictures credits were screen shots taken from the above sites,except for the first which was from here.